WOW !! THIS IS A SUNNING CAR WHICH HAD ALMOST EVERY CONCEIVABLE EXTRA APPLIED TO IT WHEN IT WAS NEW. THE 3 OWNERS HAVE COVERED JUST 81000 MILES OVER THE YEARS WHICH IS BACKED UP BY A FANTASTIC SERVICE HISTORY HAVING A TOTAL OF 14 SERVICES RECORDED. THE CAR COMES WITH A FULL OWNERS HANDBOOK INCLUDING THE ORIGINAL SERVICE BOOK AND A HOST OF OTHER INVOICES TO SHOW LOTS OF WORK DONE AND HAS 2 KEYS. 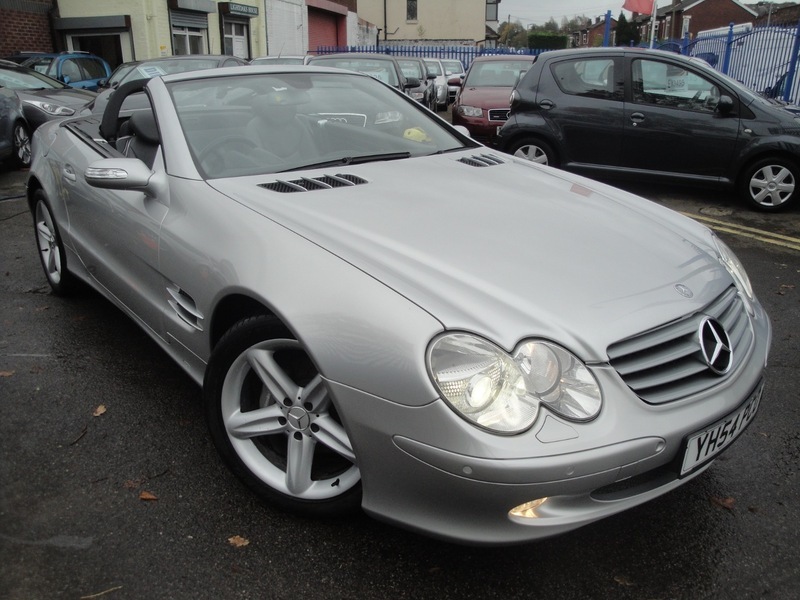 THE CAR HAS BEEN BADGED AS AN SL 500 BY A PREVIOUS KEEPER WHICH CAN BE REMOVED IF REQUIRED. THE SPEC INCLUDES MERCEDES COMMAND NAVIGATION, HEATED SEATS, ELECTRIC MEMORY SEATS, FULL LEATER INTERIOR PHONE KIT, PANORAMIC GLASS ROOF, PARKING SENSORS FRONT AND REAR, EASY ACCESS BOOT, CRUISE CONTROL AND SPEED LIMITER AND MULTI PLAY CD PLAYER. THIS REALLY IS A STUNNING EXAMPLE OF A TRULY SUPERB CAR.